How Can My DUI Lawyer in Georgia Beat the DUI Breathalyzer? 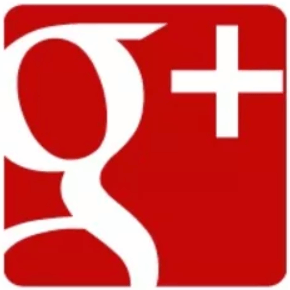 After over four decades doing it, Atlanta DUI lawyer Bubba Head is aware of several dozen proven ways that exist on how to beat a DUI breathalyzer result. The best way is to get your results excluded from the DUI case in a pre-trial motion hearing, by filing suppression motions to request a Judge to exclude illegal evidence. Your Georgia DUI lawyer, if he or she is up to date on the latest methods, will file targeted motions to suppress this evidence. The exclusion can be “sweeping” because the arresting officer illegally pulled you over and the Judge throws out the case. Or, perhaps the law enforcement officer didn’t read your Georgia implied consent notice in accordance with Georgia appellate cases. Maybe the Intoxilyzer machine was not calibrated properly. No DUI lawyer in Georgia has taken more breath alcohol test machine training than Atlanta DUI lawyer Bubba Head. Because our DUI law firm fights DUI cases for our accused clients each and every week, a breathalyzer test is commonly involved. When a citizen arrested on a Georgia DUI is accused of exceeding the legal alcohol limit, our DUI attorneys must find a way to challenge any breath alcohol test result,that is purported by the Prosecutor to be in excess of the legal drinking limit. In October of 1996, Mr. Head hosted the very first, intensive 4-day breath alcohol device training course on the science of breath testing at the Emory University Conference Center in Atlanta, GA. This was a national DUI attorney conference, with 32 attendees. One attendee, DUI attorney Fred Slone, traveled all the way from Alaska for this alcohol breath test training. It had never been offered before anyplace in America. Officer botches the reading of implied consent. Filing and successfully arguing a suppression motion that a Georgia implied consent law error was made during the arresting officer’s reading of the complete, statutory implied consent notice to the citizen arrested for DUI. Constitutional challenge. Challenging the constitutionality of the GA implied consent law, as applied to the facts of our client’s case, under the Georgia Constitution or federal constitution. Periodic inspection is not done properly or timely. Finding that the Georgia Department of Public Safety mandatory quarterly inspection of the breathalyzer was deficient, and raising this issue at the proper time, at trial or during pre-trial motions. Non-compliance with deprivation period. 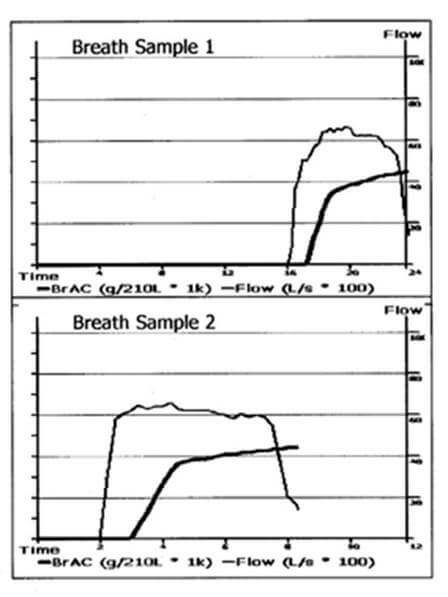 Showing that the breath alcohol test operator did not adhere to the mandatory deprivation period, as taught during his or her breathalyzer training on the Intoxilyzer 9000. This “waiting period” of 20 minutes or longer before testing permits most ethanol (alcohol) to dissipate. Delaying not less than 20 minutes after ANY alcohol, foreign object, or liquid may have been introduced into the detained person’s mouth cavity — from ANY source, is a training imperative. The person waiting to be tested cannot even consume water during this 20 minutes, prior to checking for the person’s legal alcohol limit. Contamination of the alcohol breath test samples. Contamination on the Intoxilyzer 9000 can come from a variety of sources, including vomiting, burping, having an object (e.g., a dental bridge, dental appliance, false teeth, wisdom tooth “pockets,” smokeless tobacco, chewing gum) in his or her mouth that can trap alcohol, and many other sources. Client did not give actual, voluntary consent. Several favorable DUI law issues pertaining to implied consent have been handed down by the U S Supreme Court and Georgia’s appellate courts since 2013. Prior Georgia case law had ruthlessly held that if the card was read to the arrested DUI suspect, anything except a YES answer constituted a DUI refusal. Now, multiple case laws have ruled that unless exigent circumstances or a search warrant exist, an officer must have actual, voluntary consent. Client is too impaired to give consent. Recent cases on implied consent in Georgia and other states have ruled that a person who is unconscious or blithering drunk (or stoned) cannot give actual, voluntary consent. Margin of Error. When alcohol results obtained by police on an Intoxilyzer are at or near the legal drinking limit (e.g., 0.08 for a driver age 21 and over), a DUI expert witness or witnesses can be brought in for the DUI defense case to inform jurors of the limitations of precision of these results. All jurors inherently know that this is a form of indirect testing of breath to TRY to guess the blood alcohol level. So, the expert witness can provide an explanation of standard deviation and how margin of error can create “reasonable doubt” about the BAC legal limit numbers. Disconnect between high numbers and the lack of visible impairment. Juror are smart enough to know that a person whose breathalyzer results are purportedly TRIPLE the legal alcohol limit, yet is talking normally, walking normally, and responding normally on a videotape SHOULD be knee-knocking DRUNK. By use of one or more expert witnesses, a jury can learn about random error and processor malfunction which can cause a false reading or readings. A medical problem, as shown in Number 4 above, may add to a breath alcohol test result, but any case with super high readings and no corresponding manifestations are ripe for a NOT GUILTY verdict. Remember, the STATE has the full burden of proof beyond a reasonable doubt. The Intoxilyzer 9000 histograms are screwy. The GBI posts its current Intoxilyzer 9000 training manual on the Internet. This manual gives multiple graphic images of what a valid and an invalid histogram on a Georgia breathalyzer should LOOK like. According to Wikipedia, a histogram is a graphical representation of the distribution of numerical data. Many of our clients’ histograms do not look anything close to one of these published examples. 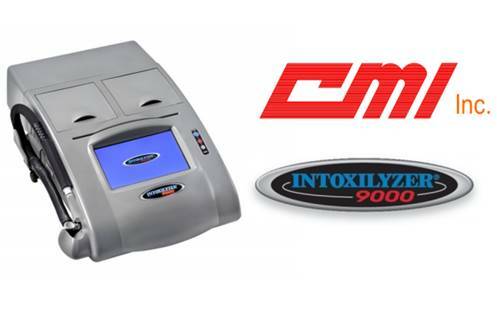 Dozens of ways exist to defeat alcohol breath test results collected on the CMI Intoxilyzer 9000 breath alcohol device, but these eleven (11) common ways adequately cover 95% of the cases we defend. As you will see below, Mr. Head knows many more POSSIBLE ways to beat a breathalyzer. Much of the same proprietary technology from the Intoxilyzer 5000 and the Intoxilyzer 8000 were used in the new Intoxilyzer 9000. More modern digital technology has been added, and this new Georgia breathalyzer utilizes a dry gas cylinder to “check calibration” on each exhalation on the CMI Intoxilator 9000. Testing errors can and do occur, and a well-trained Atlanta DUI lawyer can help identify such errors. Plus, the best DUI attorneys know how to use implied consent challenges to avoid a DUI conviction. A successful pre-trial motion hearing can result in a court order totally excluding all breath test results from an Intoxilyzer 9000, or from a DUI blood test. A Georgia DUI alcohol arrest can be prosecuted TWO ways, if you take the breathalyzer test AFTER your DUI arrest. The first (and most common) type of DUI in Georgia is DUI less safe, which is what the State of Georgia calls “driving while impaired by alcohol” to the extent that you are rendered “less safe to drive.” Even a DUI refusal can be prosecuted for this crime of being too impaired by alcohol, on very scant evidence, like an admission to drinking alcohol and an officer testifying that you could not properly perform field sobriety tests. (NEVER ATTEMPT FILED TESTS IF ANY TYPE.). A second type of DUI-alcohol charge under Georgia DUI laws can ALSO be pursued against you, when you submit to an Intoxilyzer 9000 test result. This is known as the per se DUI alcohol law (over the legal alcohol limit), making it a crime for drivers age 21 or over to drive in Georgia while having a breath test alcohol level, or blood alcohol level (BAC) of .08% grams percent or more. The Georgia standard for adults is also the national the legal limit for drivers age 21 and over who are not operating a commercial motor vehicle, as defined under federal and state motor vehicle laws. DUI alcohol per se is a type of drunk driving charge that needs no proof that your ability to drive your car was lacking. For example, driving up to a DUI checkpoint would be a warrantless traffic stop, for a limited purpose such as a license check. The smell of alcohol and the admission of recent consumption of alcohol can lead to a DUI arrest in less than 10 minutes, even at police checkpoints. Georgia’s driving under the influence of alcohol (DUI) laws make it a crime to operate a motor vehicle with a blood alcohol content (BAC) level of .08% or higher (the exceptions to this are .02% for drivers under 21 and .04% for commercial driver’s license holders). What this means is that even if your ability to drive was not compromised by the consumption of alcohol, you can be arrested for drunk driving just for being above the legal alcohol limit. Far too many citizens arrested for drinking and driving plead guilty and never seek the advice of an Atlanta DUI attorney who is a DUI lawyer. Mr. Head and his partners have won over 1,000 DUI cases with breath alcohol tests exceeding the “legal limit.” What many people fail to consider is that the breathalyzer test used in GA to determine BAC is not always accurate. In fact, there are a number of malfunction and error message factors that could render an inaccurate or inflated breath test reading. So, rather than leaving your fate in the hands of a mechanical device prone to errors, you should immediately contact a DUI attorney in Atlanta who has had experience beating the Georgia breathalyzer test. Georgia law enforcement officers used the now-decommissioned Intoxilyzer 5000 for approximately 800,000 breath tests in a 21-year period. This was a machine initially developed in the early 1980s to perform breath tests on individuals suspected of driving under the influence of alcohol. When you consider how much this technology has changed in the past several decades, you may understand the concern that a well-trained Atlanta criminal lawyer had about breathalyzer tests being conducted on a device that uses the same type of Z-80 processor that was used to power the “Pong” game.